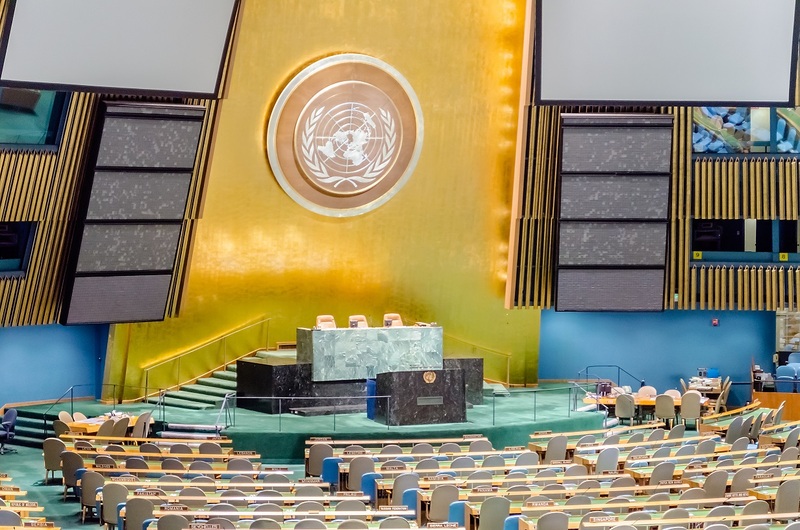 A number of states have pushed back against an attempt by the United Nations Human Rights Committee to reinterpret the ‘right to life’ to mean a right to abortion. This past July, the Committee approved a draft of General Comment No. 36 at its first reading. General Comment No. 36 seeks to reinterpret the ‘right to life’ to exclude the unborn child in the International Covenant on Civil and Political Rights (ICCPR). The Human Rights Committee is tasked with monitoring the implementation of the of the ICCPR. Earlier this month, several state parties came out condemning portions of General Comment No. 36, making it clear to the Committee that it has no right or authority to claim that states must legalize abortion. 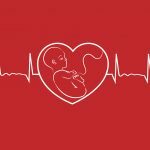 The Population Research Institute (PRI), along with many other pro-life non-governmental organizations and pro-life academics worldwide, have also submitted comments on General Comment No. 36, asking the Human Rights Committee to respect the right to life for the unborn and the terminally ill. The full text of PRI’s written comment to the U.N. Human Rights Committee can be viewed here. Several states and numerous civil society organizations, including PRI, were keen to point out that the Committee possesses no authority to reinterpret the treaty to a mean something other than what has been agreed to by state parties. “Vulnerable, weak, or less autonomous human beings, whether in the early (prenatal) or late (terminal) stages should be considered as deserving stronger, and not weaker, protection of their rights,” the comment for Poland read. The Austrian delegation made it a point that, contrary to paragraph 9 which calls on countries to decriminalize abortion, Austrian law levies penalties on individuals who break the country’s abortion law. 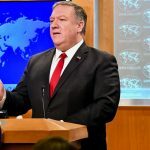 The Japanese delegation also criticized paragraph 9, saying that there is no logical connection between laws banning abortion and the incidence of so-called “unsafe” abortion. But paragraph 9 was not the only part of the General Comment nations took issue with. A number of states also objected paragraph 10 which proposes that states “may allow” or “should not prevent” the practice of euthanasia. On the opposite end of the spectrum, the Netherlands actually condemned paragraph 10 for being too restrictive. It is widely known that involuntary euthanasia and abuses are widespread in the Netherlands where 1 in every 22 deaths is now due to euthanasia. In the Netherlands, euthanasia can even be approved for psychiatric patients. Last year, the country began offering euthanasia for persons with dementia and has proposed expanding it further to persons who have “completed life” and are not terminally ill. Even the Human Rights Committee in it last periodic review of the Netherlands expressed that it was “concerned about the extent of euthanasia and assisted suicide” and asked the Netherlands to review its law in light of its obligations under the ICCPR. Perhaps one of the strongest rebukes for General Comment No. 36, however, came not from a state party but from the Committee’s sister treaty monitoring body, the United Nations Committee on the Rights of Persons with Disabilities (CRPD). The Committee further condemned paragraph 9, as a violation of articles 4, 5 and 8 of the Convention on the Rights of Persons with Disabilities. The CRPD also criticized paragraph 10 saying “the text perpetuates stereotypes about severely impaired people suffering and being better off dead.” The Committee advised that instead of authorizing euthanasia, paragraph 10 should be changed to authorizing states the ability to provide palliative care. States that have adopted the treaty. Human Rights Comm., 120th Sess., General Comment No. 36 on article 6 of the International Covenant on Civil and Political Rights, on the Right to Life, Revised draft prepared by the Rapporteur. United States of America, Observations of the United States of America On the Human Rights Committee’s Draft General Comment No. 36 On Article 6 – Right to Life (Oct. 6, 2017), http://www.ohchr.org/EN/HRBodies/CCPR/Pages/GC36-Article6Righttolife.aspx. Australia, Submission of the Australian Government Draft General Comment No. 36 on Article 6 of the International Covenant on Civil and Political Rights: Right to life, http://www.ohchr.org/EN/HRBodies/CCPR/Pages/GC36-Article6Righttolife.aspx. Russian Federation, Preliminary Comments on the Draft General Comment No. 36 on Article 6 (Right to Life) of the International Covenant on Civil and Political Rights, http://www.ohchr.org/EN/HRBodies/CCPR/Pages/GC36-Article6Righttolife.aspx. Malta, Draft General Comment on Article 6 of the International Covenant on Civil and Political Rights – Right to Life, http://www.ohchr.org/EN/HRBodies/CCPR/Pages/GC36-Article6Righttolife.aspx. Poland, Remarks of Poland to the General Comment No 36 on Article 6 of the International Covenant on Civil and Political Rights, on the Right to Life, http://www.ohchr.org/EN/HRBodies/CCPR/Pages/GC36-Article6Righttolife.aspx. Norway, Submission by the Norwegian Government Draft General Comment No. 36 on Article 6 of the International Covenant on Civil and Political Rights, on the Right to Life, http://www.ohchr.org/EN/HRBodies/CCPR/Pages/GC36-Article6Righttolife.aspx. Human Rights Committee, Netherlands, Fourth Periodic Report, concluding observations, 96th Sess., July 13-31, 2009, U.N. Doc. CCPR/C/NLD/CO/4 (August 29, 2009). The Netherlands, Comments of the Netherlands to the Draft General Comment No. 36 on Article 6 of the International Covenant on Civil and Political Rights, on Right to Life, http://www.ohchr.org/EN/HRBodies/CCPR/Pages/GC36-Article6Righttolife.aspx. Committee on the Rights of Persons with Disabilities, Comments on the draft General Comment No36 of the Human Rights Committee on article 6 of the International Covenant on Civil and Political Rights, http://www.ohchr.org/EN/HRBodies/CCPR/Pages/GC36-Article6Righttolife.aspx.